As parents, Skai and I can hardly travel "handsfree" anymore. We have to pack the whole house lots of items when we travel out with Aidan. I love my diaper bags, I really do. But there are days where we just need to carry a simpler design of bags that looks well.. more adult like. LOL. When the kind folks from Gaston Liga backpacks decided to hook Skai and I up with some sweet bags, we were excited! To be exact, Skai was EXTREMELY excited. He wasn't a huge fan of my big pink and girlish diaper bag and he would rather pick something more versatile. Here's Skai's backpack of choice. He chose the Classic Black Black backpack. He loves how simple and classy it was. And when we are not with Aidan, he also carries this bag for work/outings. While the backpack may look small, it still packs a bunch. For a typical day out with Aidan, Skai packs a changepad, diapers, wet wipes, a bagful of Aidan's toys. The essentials. For me, I prefer something preppy. So I can look younger. HAHAHAHA. I chose the Praper in Navy and Brown. For me, I usually pack Aidan's food and drinks e.g. his porridge, water and snacks. Skai also looks great with this design! Definitely an unisex design and colour! If you like Gaston Luga's backpacks as much as I do, you'll be excited to find out that I will be offering a 15% discount when you use my promo code nadnut15! Do take note that it was ALWAYS free shipping with 20% off as tax rebate (for orders from non-EU country) AND 15% off when you use my promo code. What a great deal! Do check it out, don't say I never share! 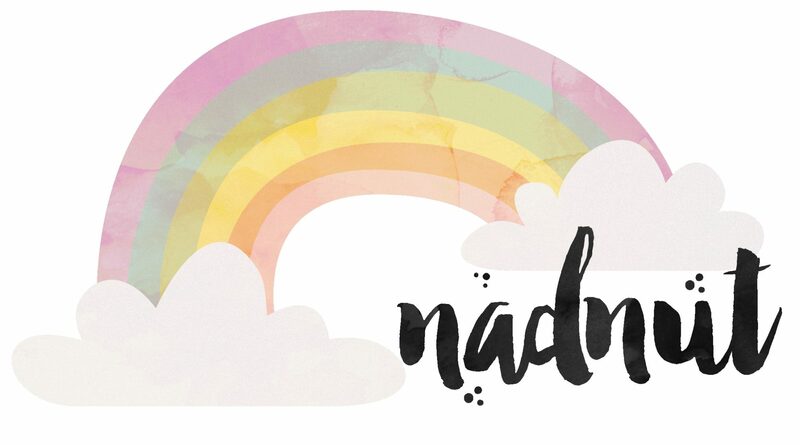 Posted in #AidanSim, #nadskai, #nadskaijunior, Diaper Bags, Reviews, Singapore Lifestyle Blog, Singapore Mom Blog, Singapore Parenting Blog, Sponsored, Yours truly.... Tags: Gaston Luga, Gaston Luga backpack, Gaston Luga backpacks, Gaston Luga bag, Gaston Luga reviews, nadnut.com, nadnut.com - Singapore Lifestyle Blog, Parenthood Blog Singapore, Parenting Blogger, Parenting Bloggers Singapore, Pregnancy, Singapore Baby Blog, singapore lifestyle blog, singapore lifestyle blogger, Singapore Mom Blog, Singapore Mom Blogger, Singapore Mommy Blogger, Singapore Motherhood, Singapore Parenthood Blog, Singapore Parenting Blog on November 15, 2017 by nadnut. As most of you guys may know, I basically live breathe Ju Ju Be. I'm a huge fan of their diaper bags especially the Tokidoki range! Tomorrow will be the launch of the Super Toki and Sweet Victory range from Ju Ju Be x Tokidoki and I was extremely lucky to have picked as one of the 88 VIPs from Bumper to attend their first ever Singapore Ju Ju Be Trunk Show! USA mamas maybe familiar with the concept of Trunk Shows however we Singaporeans have never had one before! From my own basic understanding, a trunk show is organised by a physical retailer for their shoppers/VIPs to be able to purchase the items before the official launch. Just like a sneak preview of a movie! Who organised it and where? Bumwear was the first ever physical retailer from Singapore to have organised it at their physical store at Plaza Singapura from 4pm - 8pm. How does one score a queue number? Bumwear had put up a Rafflecopter link for 30 minutes on their Facebook Page. One would need to be a Bumwear VIP in order to qualify. 88 VIP members were picked by Rafflecopter and was announced on their Facebook page. I was lucky enough to have gotten queue number #13. What was available for purchase? This was the list of items available for purchase at the trunk show. Each queue number is entitled to purchase up to 4 Super Toki / Sweet Victory items with the requirement that at least one item be a Bag. If you purchase a non-toki Ju Ju Be item, you will be able to purchase an additional ST/SV item. Maximum of 2 additional purchases are allowed. What is considered a bag? BRB, BFF, Be Sporty, HBB, Super Be, Be Light and Starlet. What other fun activities were available? Bumwear had invited two popular CLs (Custom Ladies) Petite Romance and Milistudio who shared about their custom works alongside selling some of their items. You could also check out ST and SV at one of the booths there too! You can also take pictures at the Photo Booth with some fun props and enjoy a free cake pop from them! It was really fun though I was disappointed that the Super Toki Minibe was wiped out when it came to my turn. Looks like I have to work hard at FFF (Fastest Fingers First) tomorrow! I love such gatherings as I get to meet my fellow Ju Ju Be Pink Ladies! I took some pictures during the Trunk Show, hope that you enjoyed this post! Let's work hard tomorrow!!! I'm not affiliated in anyway with Ju Ju Be or Bumwear. In fact, I spend way too much money on Ju Ju Be as I buy every single bag with my own money. Posted in Announcements, Diaper Bags, Jujube, Shopping, Singapore Lifestyle Blog, Singapore Mom Blog, Singapore Parenting Blog, Super Toki, Sweet Victory, Tokidoki. Tags: Bumwear 1st Trunk Show, Bumwear Jujube, Ju Ju Be, Ju Ju Be Diaper Bags, ju ju be first trunk show, Jujube, Jujube Diaper Bags, Jujube Hello Sanrio, Jujube Hobobe, Jujube Singapore, Jujube Singapore Trunk Show, Jujube Tokidoki, nadnut, nadnut jujube, nadnut.com, nadnut.com - Singapore Lifestyle Blog, Parenthood Blog Singapore, Parenting Blogger, Parenting Bloggers Singapore, Pregnancy, Singapore Baby Blog, singapore lifestyle blog, singapore lifestyle blogger, Singapore Mom Blog, Singapore Mom Blogger, Singapore Mommy Blogger, Singapore Motherhood, Singapore Parenthood Blog, Singapore Parenting Blog, Super Toki Jujube, Super Toki Tokidoki, Sweet Victory Jujube, Sweet Victory Tokidoki on February 14, 2017 by nadnut.